«Not a big topic» illustrated quotation. Parkinson’s, free quote pictures for Facebook, Twitter, LinkedIn, Reddit, Pinterest and other social networks. 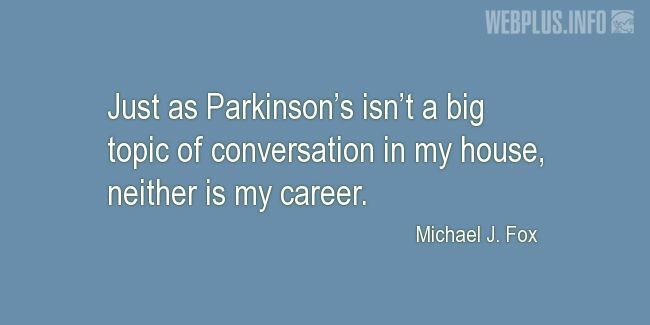 Just as Parkinson’s isn’t a big topic of conversation in my house, neither is my career.